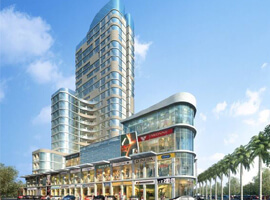 M3M India going to launch a new commercial project in Sector 71, Gurgaon. 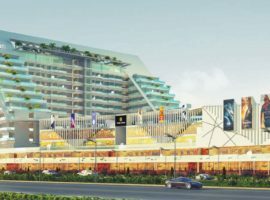 M3M Sector 71 is a new commercial project where High-street Retail with Multiplex on Main SPR road, sector 71 Gurgaon, Its Offer Easy Connectivity from NH8 & Golf Course Extn Road. M3M Sector 71 is a unique, one-of-its-kind project that offers a heady mix of High-End Retail shops and world-class commercial spaces. Enjoying an awesome corner location with exclusive two-side access, M3M Commercial Sector 71 was going to set a new precedent of affluence and exuberance in the city of Gurugram. M3M Commercial Sector 71 is not less than any international project in India. It is fully merged with the outstanding luxuries of contemporary trends. Being a part of real estate association has all those captivating genuine dexterity which requires for an enhancing office space as well as starting up with a branded store. It is an optimal choice for branded stores, food courts, multiplexes, and corporate office. 2 Mins drive from Sohna Road. 5 Mins drive from Khekri Daula Toll Plaza, NH 8. 15 Mins drive from Huda City Center Metro Station. 8.5 Acres Commercial with more than 600 Shops and showrooms and 6, 00,000 Sqft of office space. 30,000 plus families already residing nearby. Studio apartments which will pull elite clients. Second floor for F&B/food courts with some retail shops, Outdoor display venues, pedestrianized spaces and vibrant attractive landscape. 3 side open location with beautifully designed boulevard.